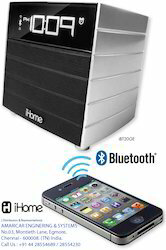 We are also offer ihome, USA media player - iphone /ipad/ipod dock from our principal Amson Interconnect, New Delhi who are the ihome‘s exclusive partner in India. Their introduction letter is given below and the product details are attached herewith. We are offering Clock with FM to our clients. RC-DC1 iPod digital clock radio. We are engaged in offering Philips FM Digital Clock Radio. In order to meet excellent quality standards, we are supplying Philips FM Digital Clock Radio. We at Hytech Communications & Broadcast Pvt. Ltd. provide turnkey solutions for Radio Stations right from getting an NOC for bidding for the frequency in the auction right upto getting the station On- Air. We are engaged in offering Radio Clock. Our reputed entity is engaged in supplying Digital Clock Radio. We are engaged in manufacturing of radios and clock radios. 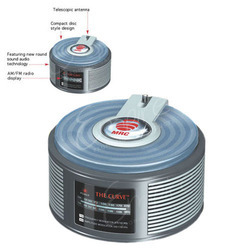 We are engaged in manufacturing a wide range of radio alarm clock. Ships clock, quartz, radio room hinged cover, 150 mm, flange dia., including batteries.